$1,609.00 This may be in stock for quick delivery; please call! 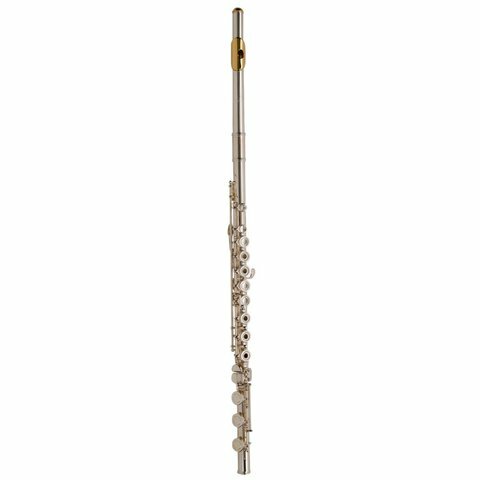 The Armstrong 800B flute is designed to last and will enhance the playing experience for flutists of all levels. The Armstrong headjoint offers players crisp response and ease of playing throughout all registers. 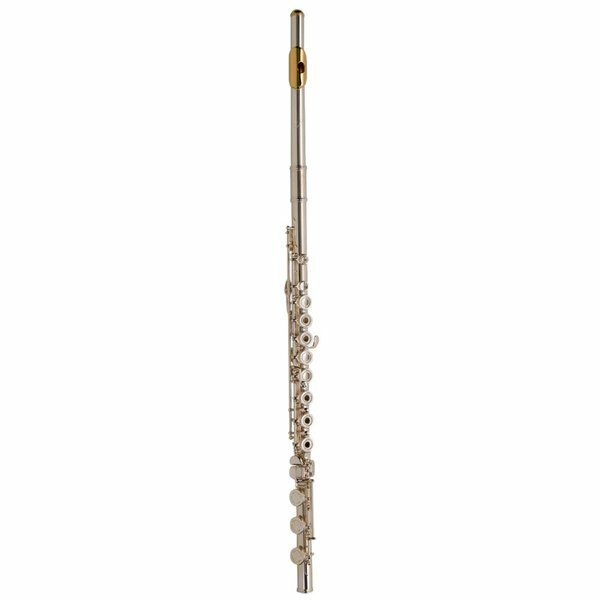 The Sterling silver headjoint gives players more tonal character and flexibility, and the gold plated lip plate and crown offer additional beauty to the flute. 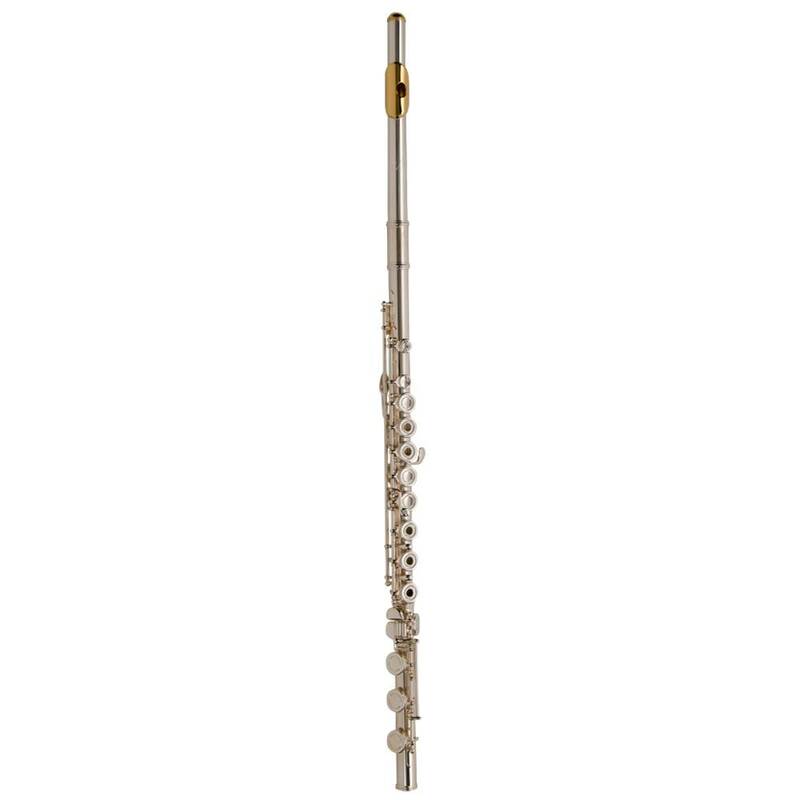 The Sterling silver body gives the flute a warmer, darker sound than traditional silver plating. Open hole keys provide flutists the ability to play a higher level of music that include techniques such as quarter tones, encourages proper hand position and provides more clarity in tone. The B footjoint allows flutists to play a broader range of music and makes the 4th octave C speak more clearly when using the gizmo key. Top adjusting screws provide ease of repair and adjustment to keys. Specifications: Sterling silver headjoint with gold plated lip plate and crown, sterling silver body, top-adjusting silver plated mechanism, open hole Y-arm keys, inline G, B foot, French style case with cover.